The use of welding procedures specifications (WPS) is the foundation of a good welding quality control management system. It has a huge impact on quality as well as productivity. Despite this, many fabricators are still running their facilities without WPSs. And many who are, have significant issues which prevent this powerful document from maintaining quality and improving productivity. Below are 9 of the problems we see with WPSs in the field. Only used satisfy a requirement – used only for certain products for which customers demand that welding procedures be in place and welders be qualified. This is quite common. A portion of the shop will be following WPSs and the rest are not. In some cases building the exact same product. WPSs are not made available to welders – similar to number one above. The document is produced to satisfy a requirement, but in this case it is not even used in production. It is stored in the office in the event of an audit. The ranges for essential variables are too wide – what good is a welding procedure if it tells you that you can run anywhere between 90 to 430 amps and 18 to 32 volts? In order to develop one welding procedure that can be used in all positions and material thicknesses some manufacturers will do this. They create a WPS that you simply cannot operate outside of its stated parameters. This of course leads to poor quality and lack of cost control as the welders will be using whatever variables they feel most comfortable with. Some will weld hot and fast others will weld cold and slow and produce in many cases significantly different results in terms of quality. It’s just how it goes. The proper use of prequalified welding procedures in accordance with AWS D1.1 requires that you obey the specified joint tolerances. Having errors in prequalified welding procedure specifications is one of the easiest ways to fail an audit. This is one of the big reasons why we spend a lot of time educating our customers in the proper way to use prequalified WPSs and why we wrote Qualification of Welding Procedures, Welders and Welding Operators. The use of prequalified WPSs can save a company a lot of time and money as long as it is done properly. This guide provides a proven step-by-step process to properly write prequalified welding procedures in conformance with AWS D1.1. 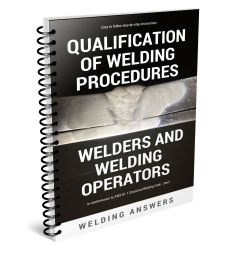 Additionally, it provides step-by-step instructions on how to qualify welding procedures and welders by testing. Poorly written welding procedures – a WPS should be a document that provides clear instructions to the welders on how to make a weld. In many cases we see values for certain variables that are just unrealistic and which may be confusing to the welders. 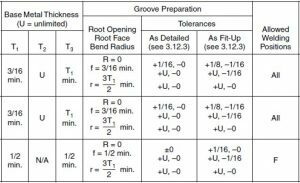 This often happens when engineers or other professionals that do not understand the welding process are tasked with developing or simply documenting welding procedures. WPS written with only quality in mind – how is this a problem? It can be a problem if your welding procedure produces quality welds but hinders productivity. Why would you weld at a deposition rate of 3 lb/hr when you can weld at 9 lb/hr and still allow your welders to produce a quality weld? Always try to maximize productivity as long as you don’t compromise quality. Sometimes this means you will need to have separate WPSs depending on the application details. Using the wrong form – most codes, if not all, allow you to use your own forms for writing welding procedures. The only requirement is that you include all the variables for the selected welding process. 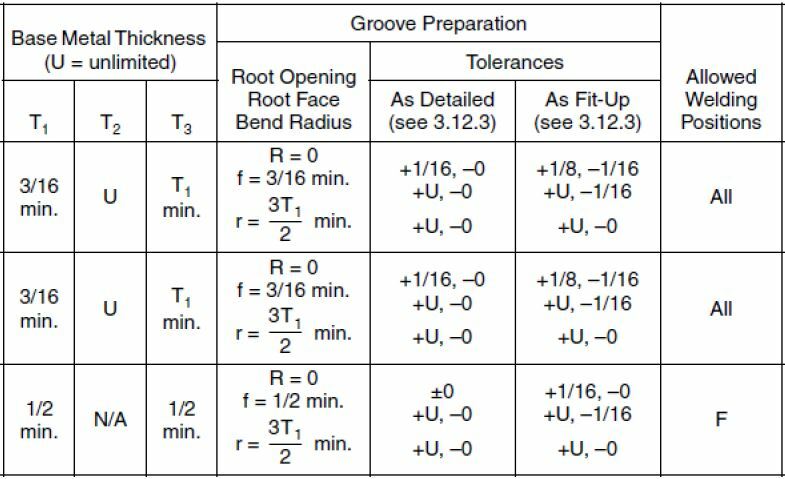 However, if you use a WPS form that is specifically for TIG (GTAW) but you are using the flux-cored are welding (FCAW) chances are you will miss some essential variables in your WPS. No reference to a PQR – unless you are using prequalified welding procedures all WPSs need to be qualified by testing if you’re doing work in compliance to a welding code. The qualification tests are documented in a procedure qualification record (PQR) if the procedure successfully meets the qualification requirements. This PQR must be referenced in the WPS. Even Standard Welding Procedure Specifications (SWPSs) provide the PQRs that back them up. Make sure you state the supporting PQRs in your WPSs. No approval signatures – all WPS must be approved by engineering. A lot of times this is left blank because no one wants to personally endorse a welding procedure they didn’t write or don’t know much about. This is why it is critical to understand how to qualify welding procedures. If you follow the requirements of the codes and pass the tests then the procedure is qualified. You cannot guarantee that the WPS will be used properly by the welder (due to varying levels of skill – this is verified through welding performance qualifications), the signature on the WPS simply states that the WPS was qualified in accordance to the rules that govern the project, which in many cases will be one of the structural welding codes, API 1104 or ASME Boiler and Pressure Vessel Code. There are plenty more issues we see with WPSs out in the field, but the above nine seem to be the most common. Seeking help when you don’t understand how to write a welding procedure is a good idea. Poorly written welding procedures can hurt quality and productivity; they can increase rework and drive up manufacturing costs. Poorly written WPS can also lead to failing an audit and in extreme cases halt production.